Wasteland Weekend is the largest gathering of its kind on Earth — but it’s so undeniably unique that frankly the competition isn’t too stiff. The event advertises itself as being the world’s premier post-apocalyptic festival. It’s a place to let loose, to channel dark fantasies in a healthy, safe, respectful way. 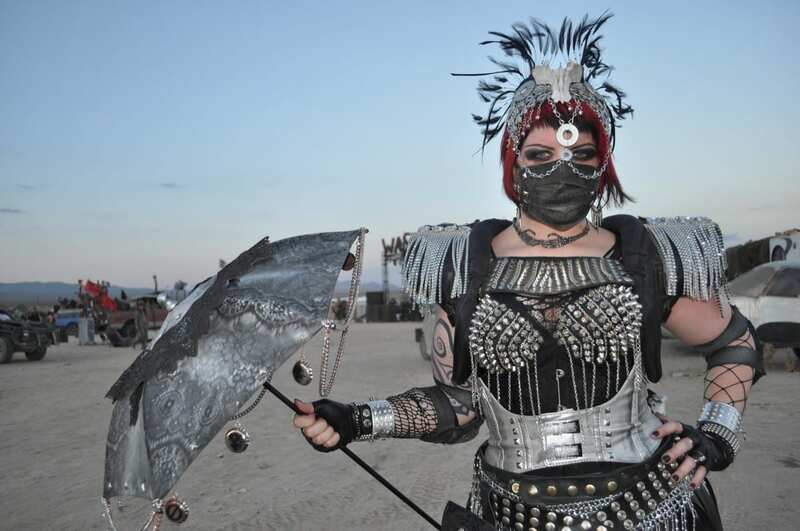 This lady reveler has found the perfect balance between expressing her inner warrior, in the spirit of Mad Max, without hiding or negating her sense of femininity and glamour. The metallic Ottoman face mask balanced with the fractured animal skull headdress let you know you are definitely not in Kansas anymore, Toto. Queen!